The first‐of‐its‐kind conference in Pima County and Southern Arizona bringing together respected local and national leaders in the specialized field of mental health diversion. Workshops, panel discussions, and speakers spotlighted the need for alternatives to jail for local courts and law enforcement, who frequently encounter people with untreated or undertreated mental illnesses that are often coupled with substance‐use disorders. Topics included the impacts of incarceration on communities and families. The conference also featured a resource fair for mental health and social justice service providers. While the United States has just 5% of the world’s population, its jails and prisons hold nearly 25% of global prisoners. According to some reports, jails across the nation serve an estimated 2 million people with mental illnesses each year – almost three‐quarters of whom also have substance use disorders. That’s why jurisdictions like Pima County continue to work to develop arrest, pretrial, and sentencing options to provide alternatives to incarceration for individuals with mental illnesses. Download a copy of the Agenda and powerpoints below. Thank you for your interest in the Decriminalizing Mental Illness Conference, we have been overwhelmed with interest from the community and the conference was a success. 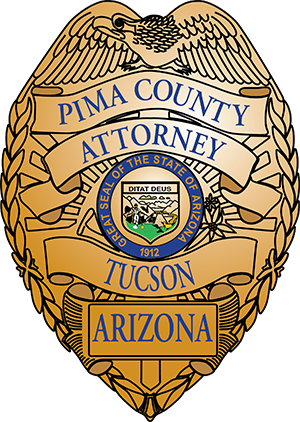 We hope you continue to check out our Safety and Justice Challenge for further opportunities to assist Pima County in these efforts, if you would like to know how to get further involved, please contact Terrance Cheung at 520-724-8770 or at terrance.cheung@pima.gov.